The county of Durham might not be everyone’s first choice for a home, but this understated area of the UK has plenty on offer. Whether it is historical beauty, natural landscapes or the local culture itself that you’re looking for, Durham can provide a highly engaging and rewarding experience for those who choose to live there. With plenty of property for sale in Durham, and many house-hunters currently overlooking its unassuming charm, it has never been a better time to consider the region as an option; get the right home here before the inevitable flood of interest. 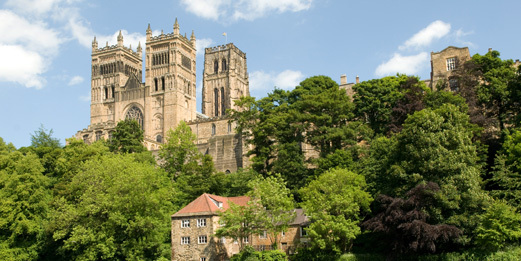 Durham as a county is arguably one of the most historic and beautiful in the UK. Far from the modern landscapes of London and Birmingham, the unspoilt countryside up in the north retains much of its original rustic charm. Take the main city of Durham itself and one can easily visit both the local castle and cathedral, two very well-known landmarks. Add in plenty of trees and traditional aesthetics along the River Wear and you have a city that, while large, is far removed from modern preconceptions. Durham, both the city and the county, is not about skyscrapers and crowded environments, instead focusing on scenic views and vistas wherever you go. Likewise, these beautiful open spaces offer a more peaceful and quiet lifestyle. 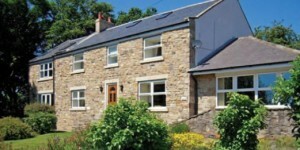 Whether you live in the city or choose one of the smaller areas, such as the humble village of Howden Le Wear, day to day life is very stress free in this part of the country. The smell of fresh air every morning and the sight of lush greenery can make a big difference and this county offers both in large amounts. This is, in part, offered by county Durham’s abundance of natural spaces. Inland areas are full of open fields, woodlands and general countryside, while peaceful locations can also be found along the coast line. All of these provide open spaces and fresh air, while still being connected to popular cities such as Durham through local links. Finally, what are the people like? As has already been explained, this region has plenty of open spaces and peaceful prospects – it’s no surprise then, to realise the locals are just as friendly and relaxed. It also has its share of local markets and regular events, ensuring there is always something to do in your spare time. 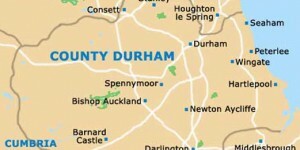 Overall, this makes Durham suitable both for those entering retirement and families alike.